Always looking for the next great bite! To end a meal at Truckaroo you need something sweet. 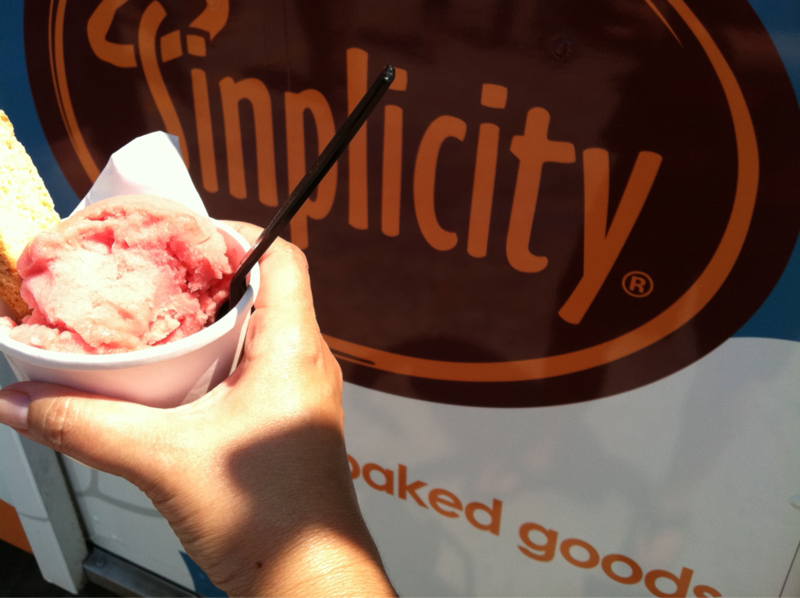 The choice was this Watermelon Sorbet with Percecco from Sinplicity. It was sweet and refreshing. Especially for a hot August day. They call their ice cream and sorbets “American gelato”. No wonder. Not your typical flavors and great combinations. My friend bought the Mint Mojito sorbet. The fresh taste of mint and lime mimicked a real mojito. YUM! Never Miss Another Post! Sign up for Updates!